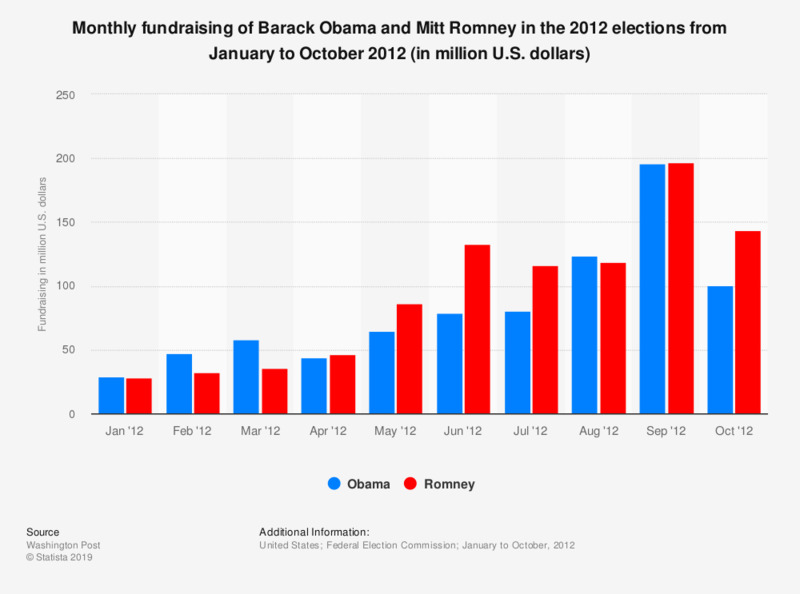 This graph shows the total fundraising volume for the upcoming elections 2012 of Barack Obama and Mitt Romney. The data include money by DNC and RNC, campaign, super PACs, and other sources that don't have to disclose their fundraising. Obama outraised Romney in August 2012 with a total of 124 million U.S. dollars raised. Total fundraising numbers include money by DNC and RNC, campaign, super PACs, and other sources that don't have to disclose their fundraising.